Stay for a day, week, or month! 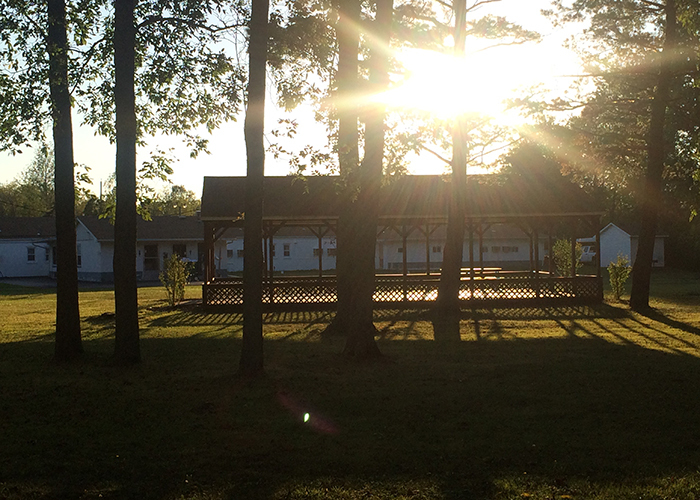 Our campsite features 26 full hookup sites with 30 or 50 AMP service, room for tent sites, and use of our grounds. 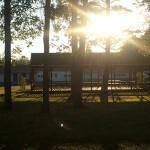 Use of our park grounds is included with campsite and tent rental rates. 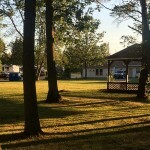 The pavilion is available to use for small gatherings, events, and lunches. Please familiarize yourself with the rules and guidelines for the park. 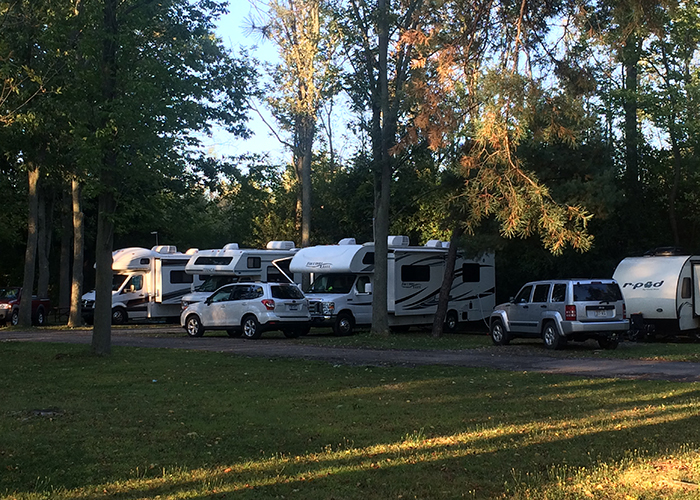 We stayed at the KOA down the street for 3 nights before coming to our senses and moving here for the next 2 nights. They had Cable and 50 amp . We just wanted a "base" for being a tourist to visit Niagara Falls and Canada. We saved $25 each night! We were in Site 4. (Back in). Do not pull too far back, as a tree drops little acorns if breezy and it sounds like you have someone playing ping pong on your roof at night! Didn't get too much traffic noise. If you just want some place to park with cable & 50 amp, then this place is acceptable. 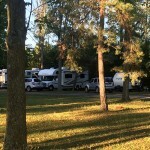 RV sites are located behind the motel in the woods. Back-in sites are spacious with full hookups and a picnic table. No other amenities. A very quiet setting close to Niagara Falls. Great location for a visit to Niagara Falls as it is only about 5 miles from the falls. We signed up for the Rainbow Tour with the Grey Line which takes you to the Canadian side for a 4+ hour tour including the boat ride to the falls. The Canadian side offers much better views of both falls. And they pick you up and drop you off at the motel so you don't need to drive & park. Don't forget your passports! This used to be a PA park and as of this writing the new owners signed up with PA. We camped at Cinderella Motel & Campsite in a Motorhome. The new owners, as of 3 weeks ago, were very nice and helpful. Rate reflects weekly discount for 50 amp FHU site. All sites are back-in, level, gravel. Good Verizon and AT&T signals.30 amp sites are tucked into the woods, quiet, more spacious and private, more availability. 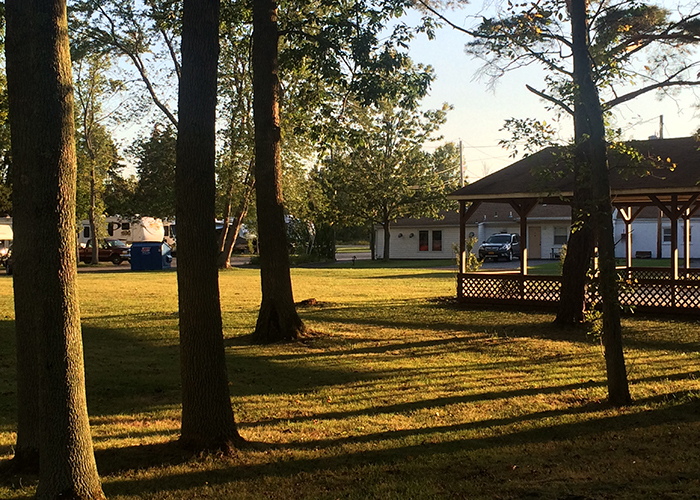 50 amp sites are close to the road but pretty darn quiet, close together but easy to back in, shared hookups in the rear (so some rigs might have trouble reaching connections), cable.No other amenities except laundry, or I would have rated it higher. But you can't beat it for a basic base to explore the area. There's a $1 toll each time you enter the island. 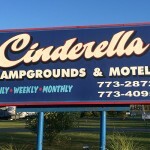 We camped at Cinderella Motel & Campsite in a Fifth Wheel. 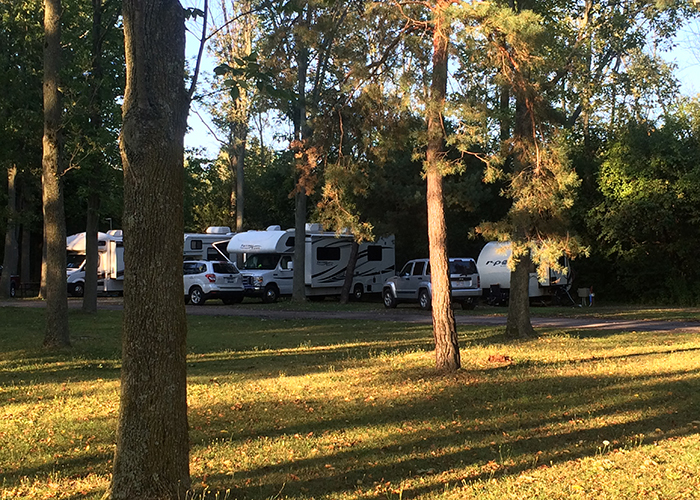 We had a difficult time finding a campground located on the US side open this late in the year.This is definitely a hidden gem! Beautiful, state park like grounds, spotless older restrooms with showers and laundry on both sides, huge pavilion and very friendly, young operators who clearly pride themselves in this location recently taken over by their family.Great, vintage neon sign on the roof of the strip motel building.Our visiting friends checked in to a motel room for the night and said it was clean and comfortable.Thoughtful staff knew our friends were meeting us and put them in a room closest to our camping area!We stayed an extra night, great rate, great facility and extremely conveniently located!Thank you for your hospitality! 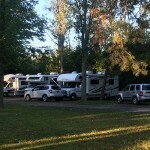 This little Motel offers 35 full service RV campsites in a quiet setting off of Grand Island Blvd, possibly the very closest campground to Niagara Falls. Just down the road from Fantasy Island this well kept property offers 30 amp, water and sewer for only $43 night.The property offers very clean and well maintained bathrooms, showers and laundry facilties. The Malecki family will ensure you enjoy every aspect of your stay. 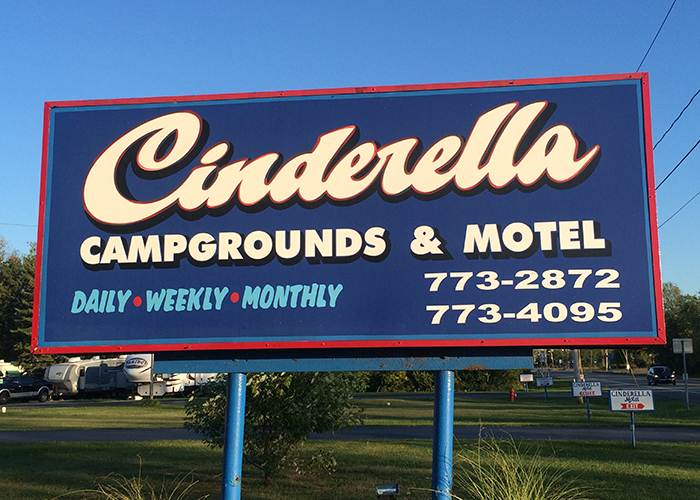 © 2016 Cinderella Motel & Campground. All Rights Reserved.